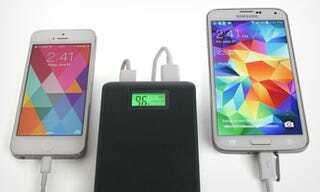 What's the most important thing about a backup battery pack? How much juice it holds, right? Which is why we like the new Limefuel — it holds 20,000mAh, which should be enough to recharge your phone around ten times, or an iPad Air nearly twice over. Now, Lifehacker readers can grab one for just $34.99 – that's 58% off. This deal on Limefuel is available to US-based & International readers. Free shipping is included inside the US. Interested? Check out the deal before it's gone!